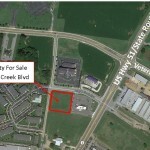 This property is zoned commercial. 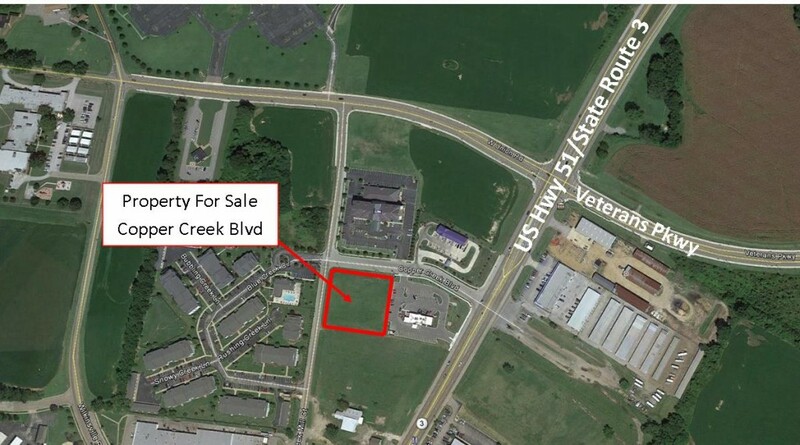 It is well located directly off of Veterans Parkway and US Hwy 51/State Route 3 and is a corner lot on Copper Creek Blvd and Creek Mill Ct. It is 5 miles from the Memphis city limits and 18.6 miles from downtown Memphis. 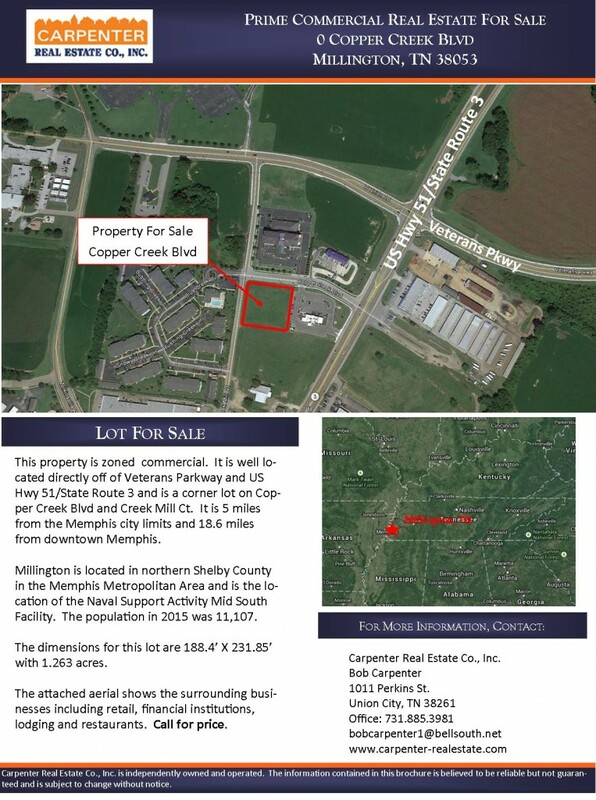 Millington is located in northern Shelby County in the Memphis Metropolitan Area and is the location of the Naval Support Activity Mid South Facility. The population in 2015 was 11,107. 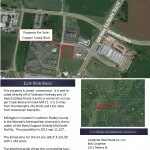 The dimensions for this lot are 188.4’ X 231.85’ with 1.263 acres. 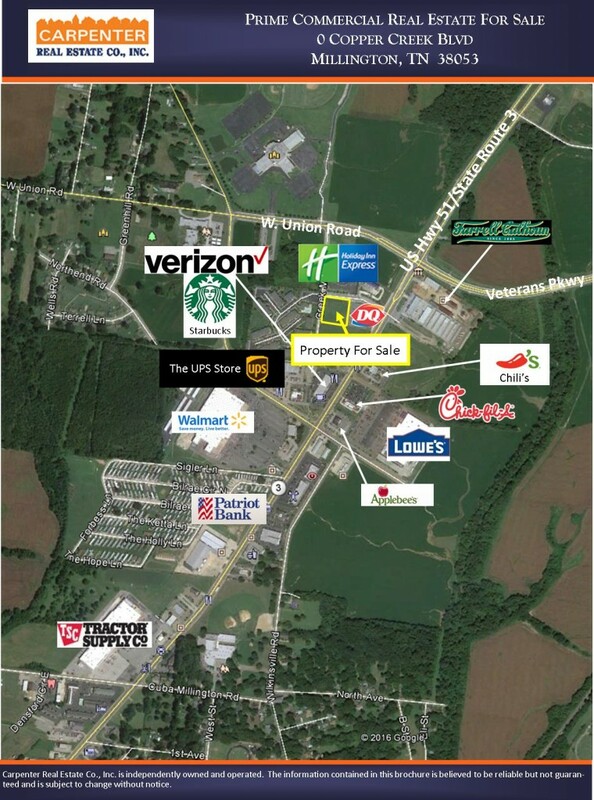 The attached aerial shows the surrounding businesses including retail, financial institutions, lodging and restaurants. Call for price.